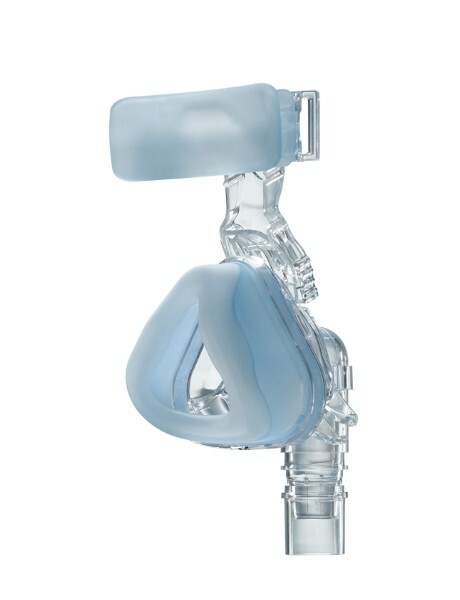 The ComfortFusion Nasal Mask is the latest offering from Respironics, and it offers an ultra-soft cushion and forehead support combined with the user-friendly frame and headgear design of the Comfort Gel. The ComfortFusion is conveniently packaged with both the small and medium sized cushions, which will fit more than ninety percent of the people using it. The Stability Selector raises and lowers the mask for optimized cushion angle, seal and fit. Two cushion sizes available fit more than 90% of users and can be easily removed for cleaning and replacement. 360 degree swivel allows tubing to move freely. Ergonomic ball-and-socket Quick clips allow for free movement and easy mask removal without the need to re-adjust the headgear. The premium soft forehead pad provides superb patient comfort. Adjustable headgear provides reliable comfort, fit and stability. Fast service & amazing customer service! I've used the comfort fusion mask for years. To answer a couple of other reviews: 1) it is not the gel version. the plastic has a hint of blue somewhat similar to the gel version and so the picture can confuse people. 2) in terms of air leaks, if I'm on my side or stomach, I pull the mask a bit to the side and then when I put my face on the pillow, the pillow pushes the mask back and holds it there. bestcpapprice.com was a good price and the delivery was faster than I expected. their support was great about answering questions. I've tried several C-Pap masks and headgear and this one is the easiest to use and provides the best seal especially around the top of the mask. I've experienced leakage with other masks causing dry eye and this one seals perfectly. I had forgotten that I have used this mask in the past and I didn't care for it. The cushioning/seal does not work as well for me as the Respironics mask with gel. It's ok for now but will remember not to order this one againn. The product was delivered in a timely manner and was very good quality. I'm glad to have found these products online. ???? what does title mean????? I have been using Respironics CPAP for some time. I bought this unit, along with mask so that I could have one in each of my two homes - in WI and VA. So in spite of having had it for a couple of months, I only began using it a couple of weeks ago. 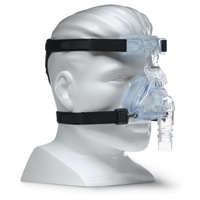 The CPAP unit is great; the mask, however is utterly awful. It is most uncomfortable to wear, and it leaks. I tried everything I could think of to get it to work well and be tolerable to wear. I cannot. As a result I am going to toss it; I have ordered and received a different mask. My previous experience using CPAP has been totally positive; no problems. If I had been given this mask when I started, I would never have continued using CPAP. This is a good mask, at a good price. The cushion size runs larger than most. I would order the gel type mask if ordering again. This mask much better than my previous one. I like that you can change the nasal portion without getting a whole new mask and much better fit. Great mask at a really good price. I like that the strap goes below the ears which makes it comfortable. I also like that you don't have to put it on tight to secure the seal. It does take a little getting use to being that it is not a gel insert. But because it is not tight...no "strap marks". The shipping was fast. 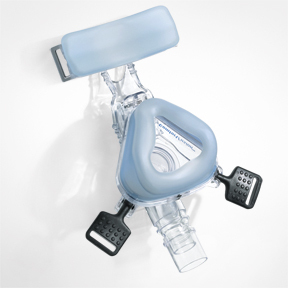 I first bought the cpap machine but forgot to buy the mask. I wish I had been reminded then, which would have saved me shipping cost for the masks. This product is not what is pictured. Having used a mask with the gel insert, this mask appears to have that type of mask. It does not. It works okay, but the picture is deceiving.